255 Commonwealth is located on the north side of Commonwealth, between Fairfield and Gloucester, with 253 Commonwealth to the east and 257 Commonwealth to the west. 255 Commonwealth was designed by architect William Whitney Lewis and built in 1880-1881 by James Smith and Morton & Chesley, builders, one of two contiguous houses (253-255 Commonwealth) built in the same design. The houses were built for Henry Osborne Roberts and Nathaniel Brookhouse Mansfield, partners in the shipping merchant firm of Roberts & Mansfield. Henry Roberts and Nathaniel Mansfield purchased the 52 foot wide lot for the two houses on May 8, 1880, from real estate dealer Samuel Horatio Whitwell. The lot previously had changed hands several times, and originally was part of one of several parcels purchased from the Boston Water Power Company on January 29, 1866, by a real estate investment trust formed by John Templeman Coolidge, Franklin Evans, and Charles Henry Parker. The trust had subsequently subdivided the parcels into lots, which it sold to investors and builders, who then frequently resold the lots to others. Click here for an index to the deeds for 255 Commonwealth. The original building permit applications, dated September 3, 1880, show Henry Roberts as the owner of 253 Commonwealth and Nathaniel Mansfield as the owner of 255 Commonwealth. On March 28, 1881, after the houses were built, they separated the ownership: Henry Roberts sold his interest in 253 Commonwealth to Nathaniel Mansfield, and Nathaniel Mansfield sold his interest in 255 Commonwealth to Henry Roberts. He and his wife, Julia Brown (Knowlton) Roberts, lived in Salem and appear never to have occupied 255 Commonwealth. On February 9, 1883, 255 Commonwealth was purchased from Henry Roberts by Miss Alida Livingston Borland. She previously had lived at 37 Beacon She also maintained a home in Nahant. She continued to live at 255 Commonwealth until her death in September of 1898. On January 2, 1899, 255 Commonwealth was purchased from Alida Borland’s estate by John Brooks Fenno, Jr. He and his wife, Mary Hamilton (Thorndike) Fenno, made it their home. They previously had lived at 175 Marlborough. They also maintained a home in Bar Harbor, Maine. John Brooks Fenno was a dealer in iron and coke. As built, 255 Commonwealth was four stories and a basement, the same height as 253 Commonwealth. 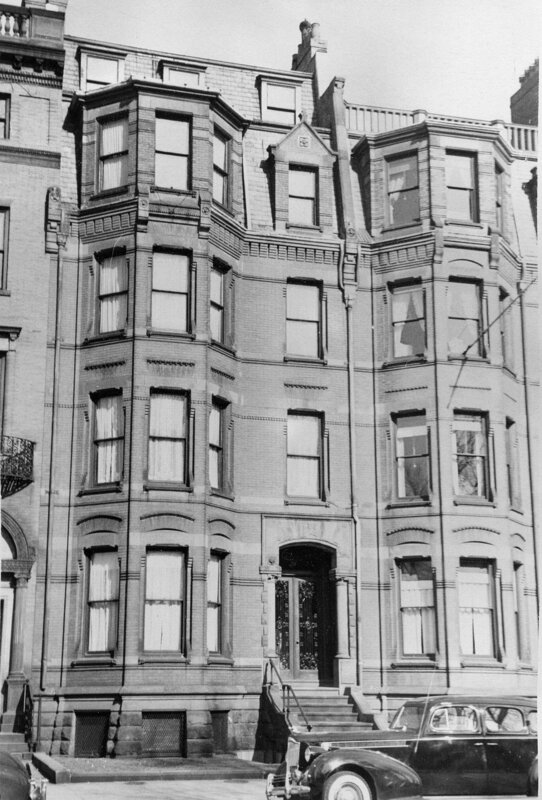 In the early 1900s, the Fennos added a fifth story (the house appears as four stories on the 1902 Bromley map and as five stories on the 1908 Bromley map). John Brooks Fenno died in June of 1943. 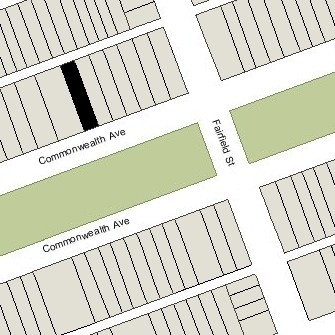 Mary Fenno continued to live at 255 Commonwealth until her death in April of 1954. On April 5, 1955, 255 Commonwealth was purchased from J. Brooks Fenno’s estate by attorney Henry H. Davis and his wife, Virginia Mildred (Nason) Lyons Davis. On September 28, 1955, 255 Commonwealth was acquired from the Davises by Rocco DiNanno and Joseph A. DiNanno. In July of 1955, they had acquired 253 Commonwealth. In January of 1956, they applied for (and subsequently received) permission to combine it with 255 Commonwealth and convert the properties from single-family dwellings into twelve apartments. The project never went forward. On April 18, 1956, 255 Commonwealth was acquired from the DiNannos by Cyrene James Smith and his wife, Harriett Mary (Vossahlik) Smith. He was a former supervisor of the electrical department in the City of Revere. In September of 1956, he applied for (and subsequently received) permission to convert the property from single-family dwelling into a lodging house. The Smiths continued to live and operate a lodging house at 255 Commonwealth until about 1962, when they moved to Jacksonville, Florida. On July 6, 1962, 255 Commonwealth was purchased from the Smiths by brothers, Charles George Alex and Daniel (Demosthenes) G. Alex, and their mother, Helen G. (Kokinakis) Alex, the widow of George Konstantinos Alex (Alexopoulos). Later in July of 1962, they purchased 267 Commonwealth, and in August of 1962 they purchased 269 Commonwealth. On April 21, 1967, Helen Alex transferred her interest in 255 Commonwealth, 267 Commonwealth, and 269 Commonwealth to Charles and Daniel Alex. On November 17, 1978, 255 Commonwealth was purchased from Charles and Daniel Alex by the East-West Corporation (Ali Banuazizi, president). 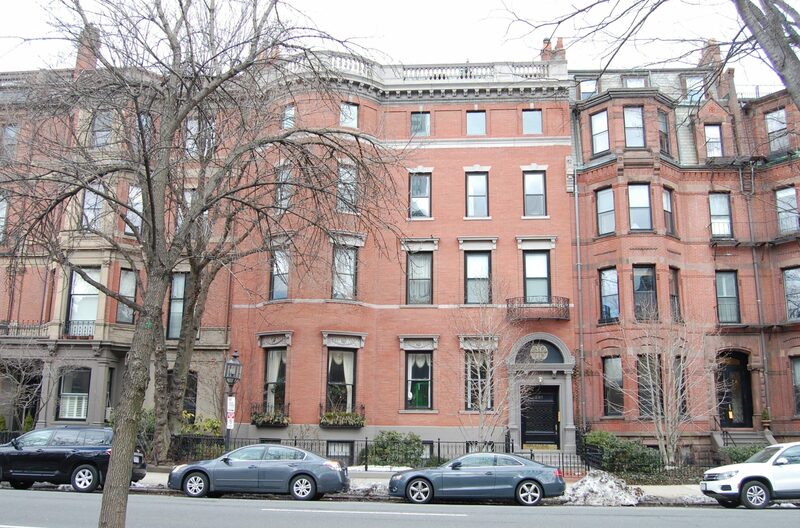 On January 5, 1988, 255 Commonwealth was acquired from the East-West Corporation by John E. Eames, trustee of the 255 Commonwealth Avenue Realty Trust. In April of 1988, he applied for (and subsequently received) permission to convert the property from a lodging house into six apartments. 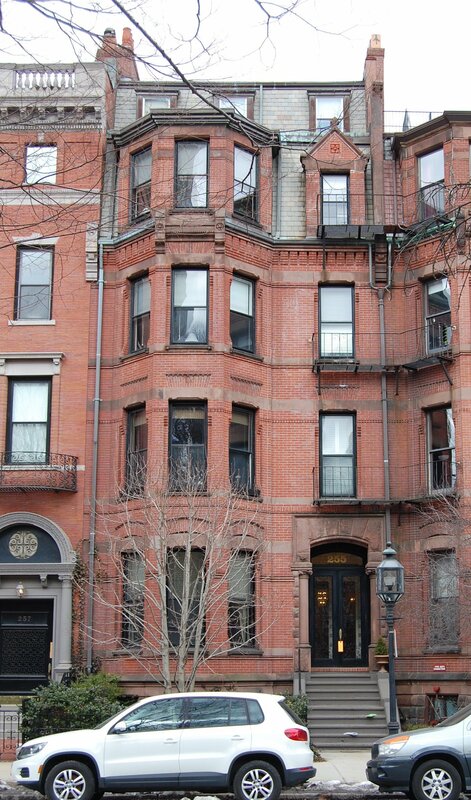 On November 27, 1989, he converted the property into six condominium units, the 255 Commonwealth Avenue Condominium.